This is a traditional and delicious snack. I prepared these during Deepavali along with the Payasam. These are very simple and easy to prepare. Wash and soak chana dal in water for 30-60 minutes until it becomes soft. Grind ginger and green chilies together into a paste. Keep aside. Mix together rice flour + butter + cumin seeds + curry leaves + ginger-green chili paste + soaked dal + salt into a thick paste/dough using a little water as required. Heat the oil in a deep-bottomed pan. 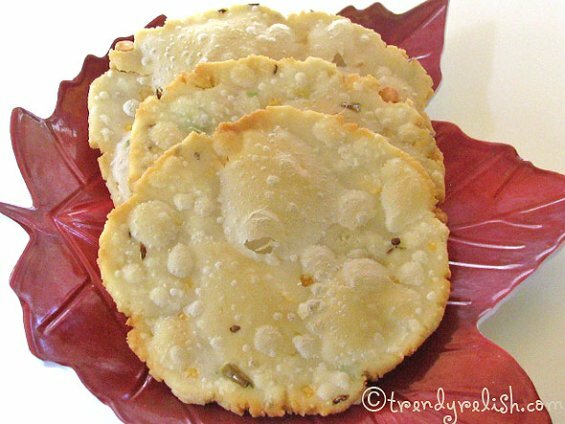 Take small lumps of the rice flour dough and flatten into thin circles. You can use your hand or a plastic sheet for doing this. I used Ziploc bag for this purpose. Carefully drop these circles into the hot oil and deep fry until they turn golden brown in color. Then remove from the oil and place on a paper towel to remove excess oil. Repeat the same process with remaining dough. 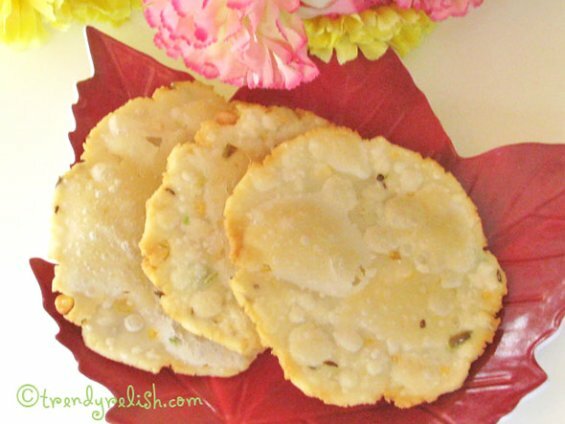 Enjoy these yummy pappu chekkalu any time. Chekkalu are crispy and yummy dear...please collect ur awards fro my blog. Looks delicious. Belated Diwali wishes to you and your family ! Chekkalu looks prefect and crispy Uma! Looks so crispy & crunchy. Just want to grab ur chekkalu. We love them :) Beautiful pic! Looks crispy and crunchy..Perfect for tea time uma..Nice click. yummy snack..would love with some tea..
Has come out too good! I should make this for next diwali! Wonderful pictures Uma! Thattai looks crispy and perfect! Nice color Uma! Yummy snack! Its a new recipe to me. Crunchy and yummy. Nice pics uma especially the second one..Lovely snack with tea..
Looks like a yummy snack! We call this thattai. Your recipe is different. i would like to try this sometime. i have tasted these kind when bought from shop. crispy snack.. very nice pictures !! wow, see the color...mine always turns a bit brownn.will try with ur ingredients next time.. I have never had this, looks crunchy delish. Looks very nice, delicious and crispy. Lovely dish. Pappuchakkau look so crispy and Yumm Uma! Like your new template dear!